Getting out the vote? Help get the voters out with a simple, uncluttered Modern Vote Invitation. With clean lines and space for you to upload two custom images to the template, it provides that sense of organized balance and honest patriotic appeal that can help your cause. 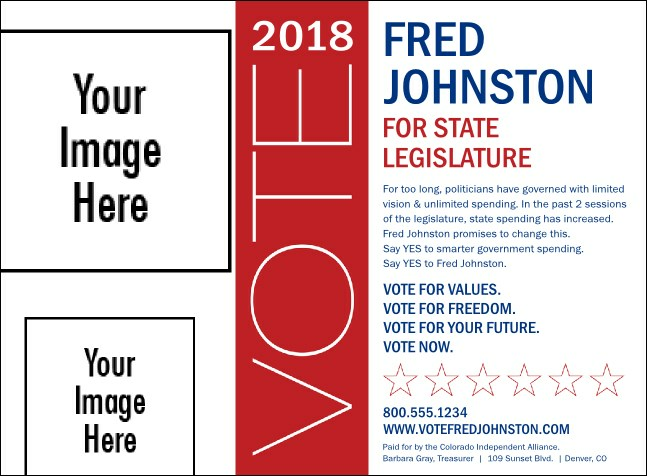 Design features red stars, blue text, and the word "vote." Draw a crowd with TicketPrinting.com.